Emancipation Day is an official holiday in the Commonwealth of Puerto Rico. It commemorates the abolition of slavery in the Spanish colony of Puerto Rico on March 22, 1873. Puerto Rico was discovered by Christopher Columbus in 1493. The Spanish began to colonize the island in the early 16th century. At first, they enslaved the ingenuous population, the Taíno. Many of them died of harsh working conditions and infectious diseases. In 1520, the remaining Taíno population was emancipated by the royal decree, and the Spanish began to import African slaves. The slaves brought to Purto Rico were stamped with a hot iron on the forehead. They worked in the fields or gold mines. The majority of slaves were treated harshly, so it did not take long for the first major slave rebellion to occur. It took place in 1527. In 1784, hot branding of slaves was suspended, and slaves were given the opportunity to obtain freedom under certain circumstances. In the mid-19th century, the abolitionist movement in Puerto Rico began to gain momentum. Under pressure, the Spanish government passed the law, which provided for gradual abolition. 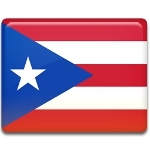 Slavery was abolished in Puerto Rico on March 22, 1873. The anniversary of this event is now celebrated as a public holiday.